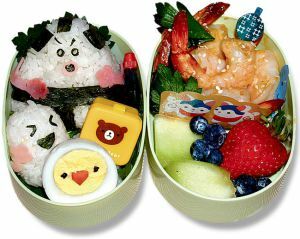 I’m going to be trying out Bento boxes for my little monkey soon at nursery. These look so cute I can’t wait!! As I wrote recently in my piece Mangia Cake, when I was a kid growing up, I knew Italian moms put a lot into the lunches they made for us. 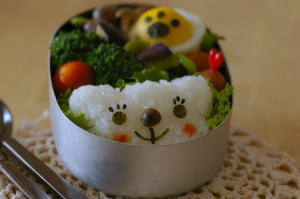 I was pretty impressed by the time and effort spent just so we could have something good and filling to eat at school. 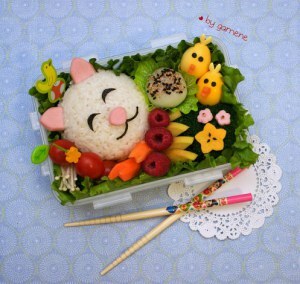 Then I saw Bento Box lunches… and my jaw dropped. 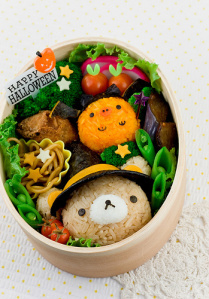 Japanese moms made these things for their kids…. 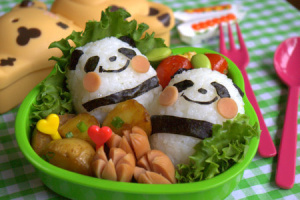 To take to school with them… And eat? 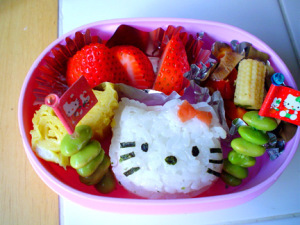 I’m glad we didn’t have any Japanese kids at St Mary’s when I was in grade school. We couldn’t have handled it. And for the poor mangia cake kids… their heads would have exploded. 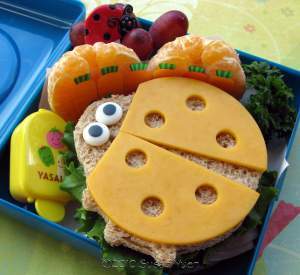 The Lady Bug Sandwich bento (below) is from WordPress’s own SusanYuen.